Francis Lee (CYF) is a happy-go-lucky cop whose chances of promotion are near zero. 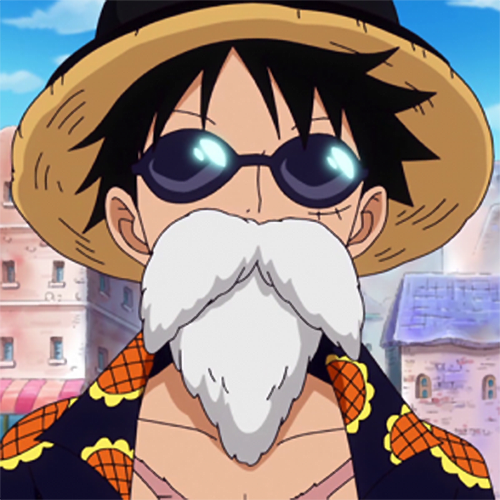 He spends most of his time fooling around with women and slacking off until the day he is teamed with Michael Cho (Conan Lee). Cho is an ambitious cop with a flair for martial arts who embarrasses Lee in a hostage situation by making him pee in his pants. 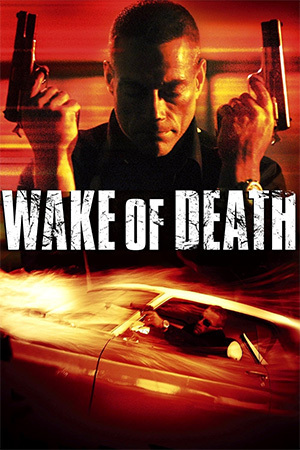 They are put on a case to follow the lovely Marydonna (Nina Li Chi) as her brother is a suspect in a drug running operation. Lee uses tough tactics to try and get her to help them but begins to fall for her when he realises she is only guilty of trying to help her brother. Together Lee and Cho capture the leader of the Triads but Lee’s sister, Mimi, is kidnapped by the remaining gang. 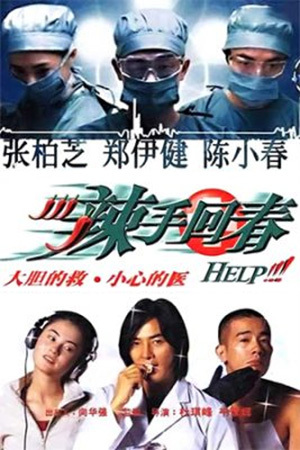 An exchange is required and the two policemen must go it alone to rescue Mimi and bring the Triads to justice. Kung fu maestro Liu Chia-Liang stepped out of his comfort zone for this 1988 Hong Kong action comedy. While some of a humour is a touch strange and it does feature a few uncomfortable moments of violence towards women, the overall picture is actually pretty successful. 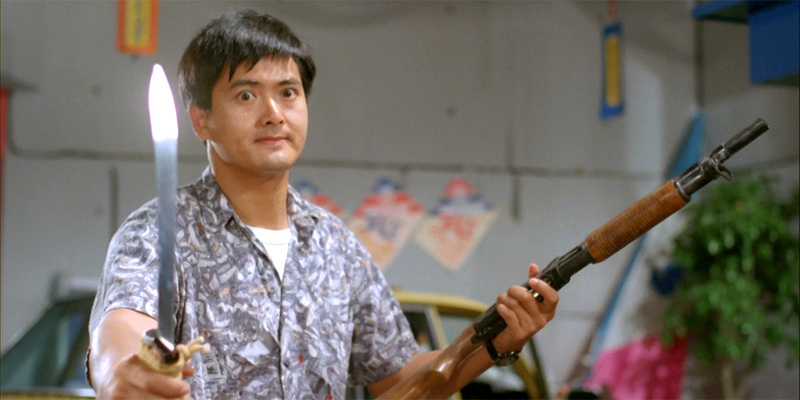 Chow Yun-Fat hams up his established image to great effect with a surprisingly funny portrayal of a cop, while Conan Lee makes for a great foil as a very serious and tough-as-nails rookie. However, the real highlight here is undoubtedly the action. Lee gets to unleash his fists of fury in quite a few impressive fights and there’s a truly inspiring finale that sees Yun-Fat playing around with a shotgun and a knife. 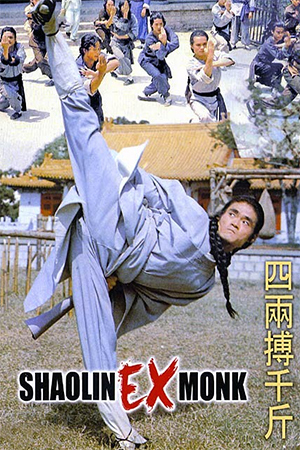 There’s also a brilliant bout that pits Lee against the legendary Gordon Liu Chia-Hui in a battle using chainsaws. 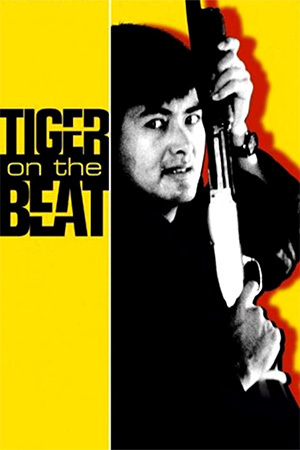 ‘Tiger On The Beat’ is a surprisingly successful outing that proves Liu Chia-Liang was just as capable of handling modern day actioners. 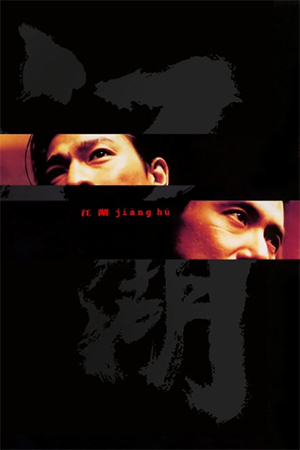 The film was also hugely successful at the Hong Kong box office and it broke a number of records that had previously been held by ‘A Better Tomorrow’.